The team of 36 volunteers traveled out to a school for 200 children, in Zberoaia to create for the first time bathrooms for the children. The building did not even have running water before the project started so there was a challenge on our hands. The following describes the work which was carried out. 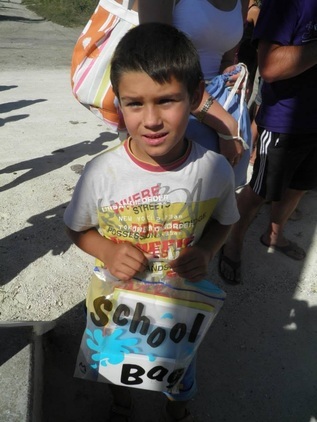 A huge thank you goes to those who were so generous to donate supplies, aid and provide support to the charity to enable us to achieve our goals. Thank you once again goes to ﻿﻿St James's Place Foundation, ﻿﻿BT Helping Hands Fund, Alan and Rosemary Chapman and the Red Hat Ladies for donations of cash to support the project. 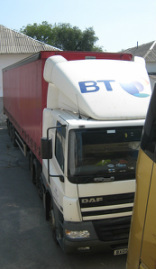 The journey started on the 8th August when the BT lorries, including trailer donated by Neil Bomford Haulage and the TEECH van left the UK for the 3.5 day drive across Europe. 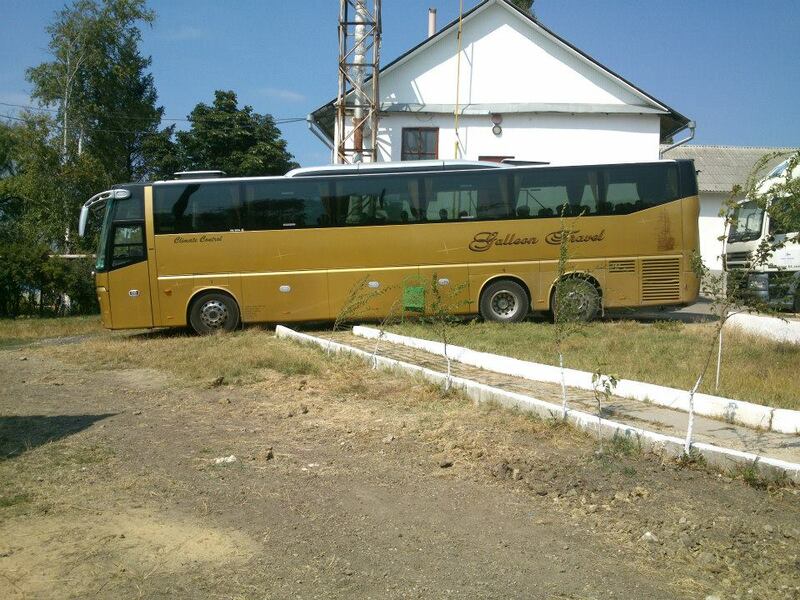 The coach, on loan from Galleon Travel and volunteers followed close behind, leaving on the 10th, to meet up at the school on Tuesday 13th when work would begin. P&O and Harbour Shipping once again supported the charity and provided discount for the crossing to Calais and the paperwork required for the import and export of our tools. Brentwood Communications Ltd provided us with radios so that the vehicles can stay in touch when travelling in convoy across Europe, which is vital. 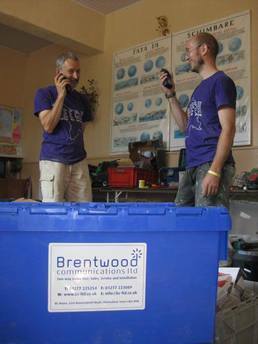 The team also use the radios on the project site. Thanks also goes to ORA International for working with TEECH once again in relation to customs in Moldova. Outside work commenced with the installation of a septic tank, donated by Mantair Ltd. Although this was a big job it was completed in just two days, even with 35+ degree heat to contend with. 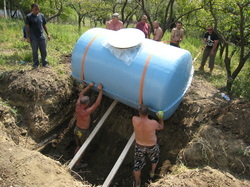 The main hole for the tank was initially dug by the school before the team arrived but this needed further work to be of the right size and then the tank could be inserted, by hand. The waste pipe for the tank was then connected up to the tank and into the building, ready for the inside plumbing work to commence. An empty classroom was the starting point to create two bathrooms, one for the boys and one for the girls, which would include toilets and showers. 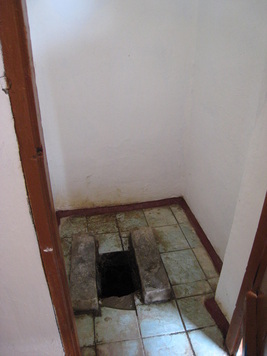 The current outside toilets can be seen in the picture below – this is not a nice picture but helps us realise what conditions are currently very common in Moldova with very few homes having a flushing toilet, or even running water. door way into the room. Prior to the charity arriving a second doorway was cut into the room, which would be the entrance for the boys bathroom. 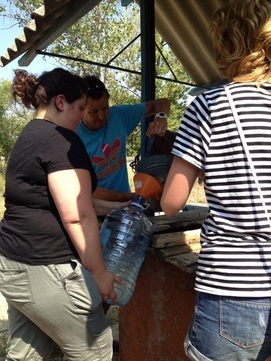 and volunteers spent much time at the local well obtaining water for cooking, washing and the project. 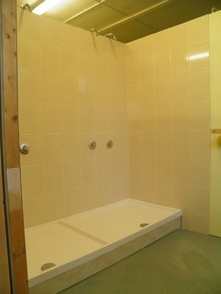 All sanitary ware and tiles were supplied by Bathroom Studios Superstore of Clacton. 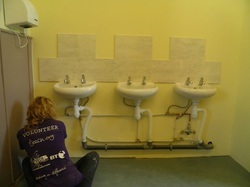 Some tiles were also donated by Mike Smith of Woodbridge and these were used for the splash back above the sinks. 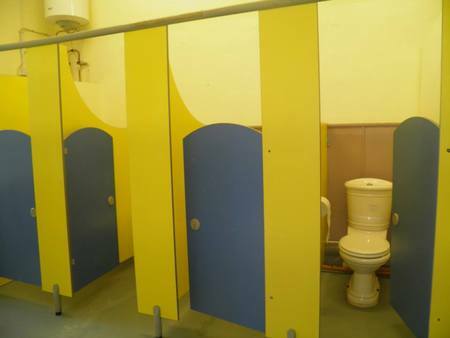 The toilet cubicles (which are very difficult to come by) were donated by Suffolk County Council. The flooring for the bathroom was once again supplied free of charge by Alto Ltd. 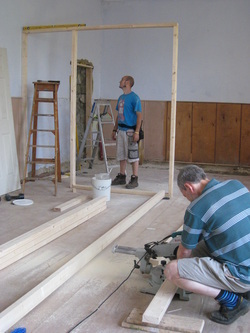 The project was finished just a few hours before leaving site to return home. 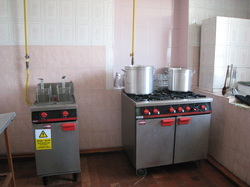 The kitchen was improved with the addition of a cooker and other stainless steel units, donated by BT, which would provide the school with better cooking facilities. The charity also donated new cooking pots, plus was able to donate crockery which was kindly given to TEECH by Bob Parfitt. 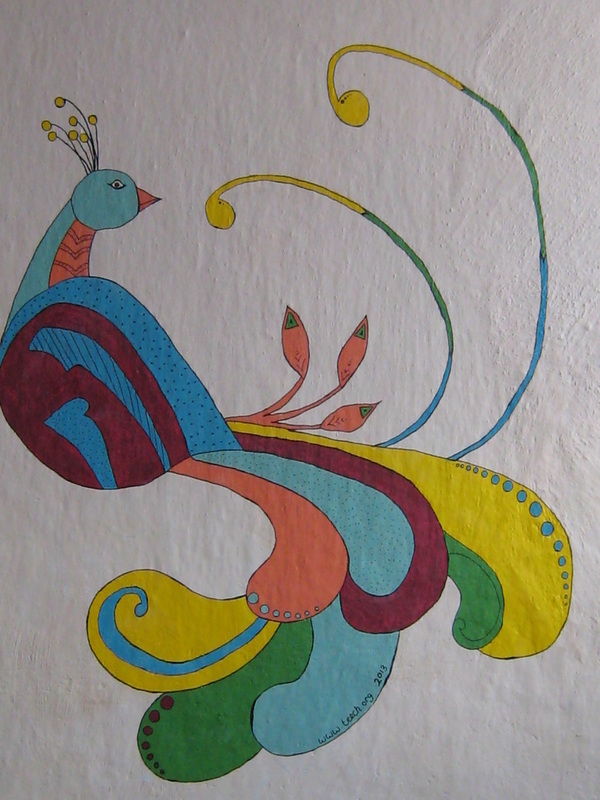 Maria Dodon, the school’s Director identified other classrooms and areas within the school where we could add murals and brighten up the environment for the children. Many murals were then created by our very talented volunteers. Throughout the charities stay at the school the Mayor, Damian Pirlici was extremely hospitable and arranged for volunteers to meet locals, for one volunteer to stay overnight with a local family to experience their home life, for others to visit the local kindergarten and paint, and for the local community to put on a concert one evening for us all in the village hall. 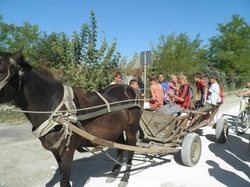 During one afternoon the locals provided ‘horse and cart’ transport and many volunteers joined them to distribute aid around the village. TEECH we also able to donate a trampoline to the school which was so popular we had to try and restrict the number of children trying to use it all at the same time! !